On August 25, 1916, President Woodrow Wilson signed an act to establish the National Park Service, granting the Department of the Interior authority over what was then just 14 national parks. This August, the National Park Service turns 100, commemorating a century of stewardship to parks across the country. While you’re spending time in the Last Frontier this summer, here are a few ways to experience some of these historic areas. Wrangell-St. Elias National Park and Preserve spans 13.2 million acres, larger than any other park in the country. There are two roads that lead into the park that are open year-round, although they are only maintained during the summer season. Travelers come to this park to float its many rivers, camp out in the wilderness and even go sea kayaking along the 155 miles of coastline. Travel to the northernmost national park in the U.S.
Gates of the Arctic National Park, above the Arctic Circle, has no trails or roads but plenty of glaciers, rivers and open terrain. The park is full of opportunities to see caribou and brown bears as well as the jaw-dropping Brooks Range. If you’re lucky, you may see some Arctic terns, birds with the longest migration in the world that fly all the way from Antarctica each year. Denali National Park’s crowning jewel is its namesake, Denali—the 20,310-foot mountain that towers over everything in the entire country. Still, the impressive mountain is not the only attraction that makes this one of the country’s favorite national parks. 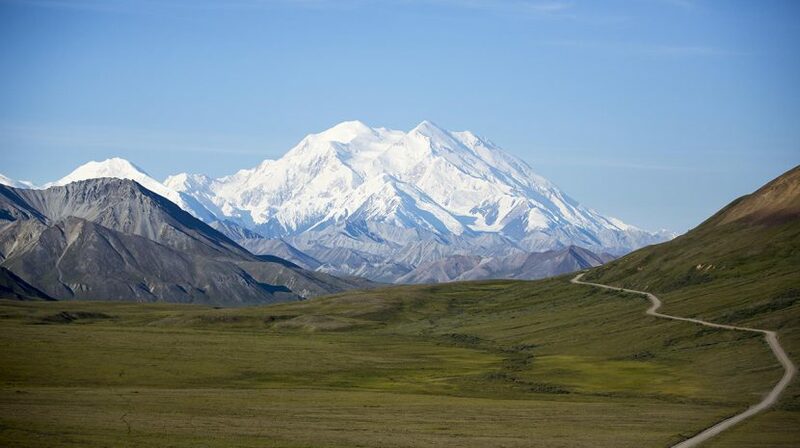 The history, wildlife and natural beauty continue to make Denali National Park a must-see destination for travelers from all over the world. With 39 different species of mammals and 650 species of plants, it’s a park that’s worth many trips back. Okay, maybe it’s better when you’re the one chowing down on the salmon, but in Katmai National Park visitors can watch brown bears feed on a seemingly endless supply of salmon at Brooks Falls in the summer. The area was originally protected in 1918 after a huge volcanic eruption. When it comes to each of these parks, the history dates back much farther than just 100 years. There’s more to see than can be experienced in a single lifetime, but just knowing that millions of acres of untouched wilderness will be protected for years to come makes us love Alaska even more than we did already.